Do other users not find the font size in TB9's web client to be rather small? Especially since there is no ability to modify the size? 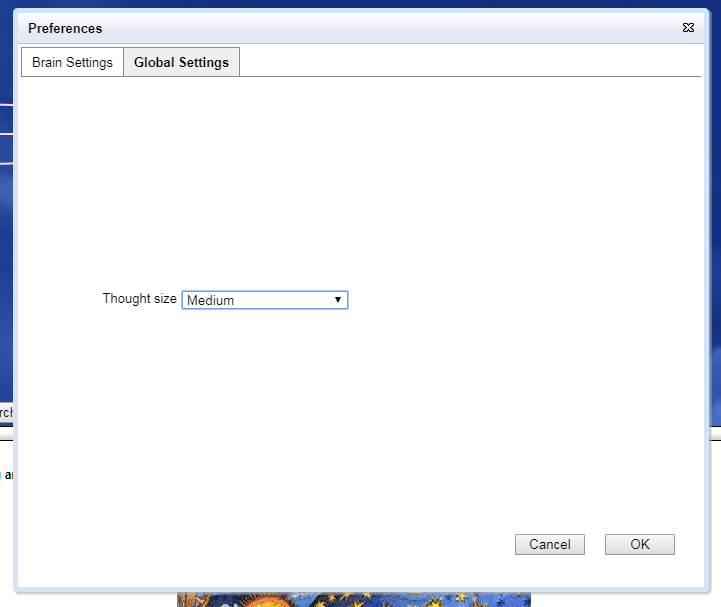 TheBrain will react to the Zoom settings in your browser. But I'll document this as a feature request. I'm guessing this is not a Brain creator setting that we would be able to/want to save, as what looks good on your monitor/resolution, may not work on mine... but maybe for individual visitors. +1 for font size controls in the web client (for the site visitor) similar to the option currently available in the TB8. My preference would actually be for a smaller font display in the TB9 web client since the current font size limits us to (usually) only 3 steps in the navigation history. The top pin display is also similarly limited with the current font size, so user control over this display would be extremely helpful.